I don't know John Wetton's solo career outside this album, but I'm somewhat familiar with early Asia, and can say with certainty that most of this album is very much in the same vein. Unfortunately, it's not generally at the same quality. Nonetheless, there are a couple of real peaks at the beautiful Fripp-Wetton-Macdonald instrumental, E-SCAPE, and the opening Heart Of Darkness is a really great rocker. The rest of the album is both short and pretty unthreatening, though Wetton's compositional skill is present throughout, the end result is quite miserable. The opener begins with promising moody keyboards, and a couple of piano and twanging bass notes lead into great uplifting rock song with dark moments. Wetton's voice, still excellent, begins the song proper. Some enjoyable guitar here, and the bass part isn't bad. A fantastic example of eighties-sounding rock. Stunning. Say It Ain't So isn't terrible, either, but the drumming's utterly bland, and I've heard better choruses. Some nice small touches on various instruments (especially organ), but it wears thin after only three minutes, and somehow feels quite samey. A couple of the changes in tempo feel generic. No Ordinary Miracle is a ballad. Cheesy vocals, lyrics, and even an incredibly tacky thunderbolt effect. An essentially decent main theme, and, again, some fairly nice additions on minor instruments. Unfortunately, it says nothing new, and I don't like the use of drums to drive a ballad so bluntly. Not my thing. Where Do We Go From Here is relatively typical of the rock pieces of the album. Thumping bass, fairly generic, but acceptable drumming. Not particularly stunning chorus, but the verses are good. I feel the brief instrumental moments here could have been properly developed, but weren't, and a jarring return to the chorus after a five-second guitar-keyboard interplay was not the greatest idea. Blunt and unexceptional. E-SCAPE features Fripp and McDonald (both of King Crimson) on sound-scape guitar and alto-flute respectively, while Wetton takes keyboard duties. It's a very stunning, mesmerising and beautiful soft instrumental, with McDonald's absolutely gorgeous ethereal flute particularly standing out, and some exceptional interplay from the musicians. Worthy of a Crimson album, though entirely uncharacteristic of Sinister. The biting Another Twist Of The Knife, while essentially a three-chord AOR piece, is comfortably the third-best thing on the album. Wetton's energy on the vocals is winning, and the song really does manage to rock properly, even the drums working well here. The chorus isn't quite up to the standard of the verses, but's still decent. Good fun. Perhaps brought down by the big block of vocals and lyrics on the 'Go on... cut me... til I bleed' section. Great guitar solo here, but I say that about just about any guitar solo, for some reason. Silently. Ugh. Generic piano. Cheesy ballad-styled vocals. Lame drumming. Pathetically bad chorus, appalling lyrics. No merits to consider, except the middle instrumental section, which works pretty well, until the vocals come back again. Some good ideas, but a crap song. Before Your Eyes is the least appalling of the album's ballad-styled things. Quite nice, quiet, not mindlessly thumping on the drums, slightly improved lyrics, and Wetton's vocals seem more individual. The flute is nicely included. The keyboards hold it up quite well. The choir/harmony thing was a little poor, though. Overall, an acceptable effort. Second Best, despite a promising energetic start, takes the whole generic AOR-aspect that plagues the album to an entirely new level. Appalling chorus. More of that disastrously plain drumming. The lyrics are dubious, the vocals vary from great on the verses to dreadful on the chorus. Another good guitar solo on this one, but again it goes back to the chorus where it didn't need to. The fade is welcome. Again, some good ideas, but overall an un-focused product. Real World is not great. 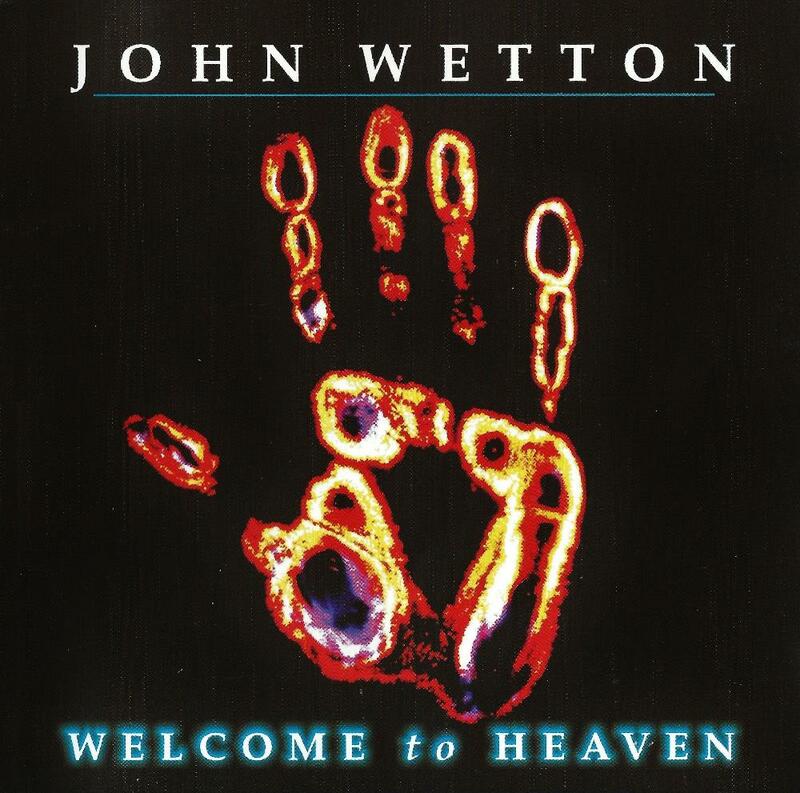 A fairly random acoustic guitar part, some really weird vocals from Wetton, who apparently has given up on even trying to maintain the facade of writing lyrics, and the harmonies are equally weird uninteresting keyboards. Steve Hackett's contribution on harmonica isn't bad. A weird song, but not a success with me. If you don't like Asia's debut, avoid it like the plague, if you do, perhaps to be considered for the stunning opener and a couple of the other better tracks, but still not great. Wetton's bass is still pretty good, but you're just not going to find the stunning bass work from his spell with Crimson on this album, and it's often overshadowed by the styles of the songs. His vocals are very divisive, still of the almost-shouted kind, and not for everyone. Clocking in at just 38 or so minutes, much of which is pretty poor material, probably not a great value-for-money buy. An effort with its moments, but ultimately unsatisfying.